The team at Cherry Digital are proud to say we were appointed by The World Branding Forum to represent the PR for the prestigious World Branding Awards, which took place on October 31st last year at Kensington Palace. As the results were announced we worked promptly to gain a successful amount of coverage across a variety of publications including regional and industry press. The awards saw 270 brands from 33 countries named “Brand of the Year” in a glittering ceremony held at the State Apartments of Kensington Palace. The UK’s Johnnie Walker was announced as a global winner of this edition of the awards, alongside the following international brands: Beijing Tong Ren Tang, BMW, Cartier, Club Med, JinkoSolar, Lego, L’Oréal, Louis Vuitton, Nescafé, Rolex, Samsung, Schwarzkopf and Yakult. National tier winners from the UK were: Barclays; Boots; British Airways; British Gas; BT; Costa Coffee; EE; Greene King; Greggs; Highland Spring; Royal Mail; Silentnight; Umbro; Walkers; Warburtons and Wetherspoon. “The awards celebrate the achievements of some of the greatest brands around the globe. With an average of just six winners per country, it is truly a great achievement to be a winner of these awards,” said Richard Rowles, Chairman of the World Branding Forum. In 2018, the awards were split into two award ceremonies, with brands from the Americas and the Caribbean awarded in a separate New York event earlier in July. Over 230,000 consumers from around the world participated in the voting process. “More than 4,500 brands from 57 countries were nominated this year, with 351 brands from 49 countries declared as winners – 81 brands from 16 countries were awarded in New York; and 270 winners from 33 countries awarded in London. Not every country was awarded, as a few did not receive enough votes to qualify.” said Peter Pek, Chief Executive of the Forum. 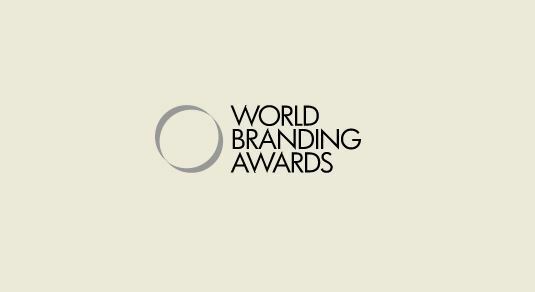 The awards are organised by the World Branding Forum, a global non-profit organisation dedicated to advancing branding standards. It organises and sponsors a range of educational programmes. The Forum also publishes branding news on its website that reaches a global audience of over 23.69 million. The event was hosted by David Croft from Sky Sports. For a full list of 2018 winners, visit their website. Please click on the links below to view a range of coverage that we achieved for the World Branding Forum.